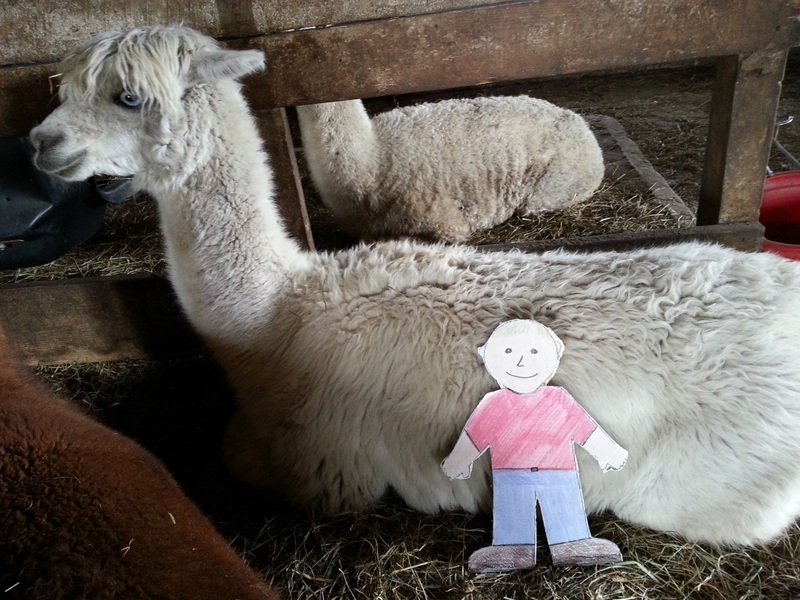 We are so glad to have Flat Aggie visit Two Chicks Farm Alpacas. 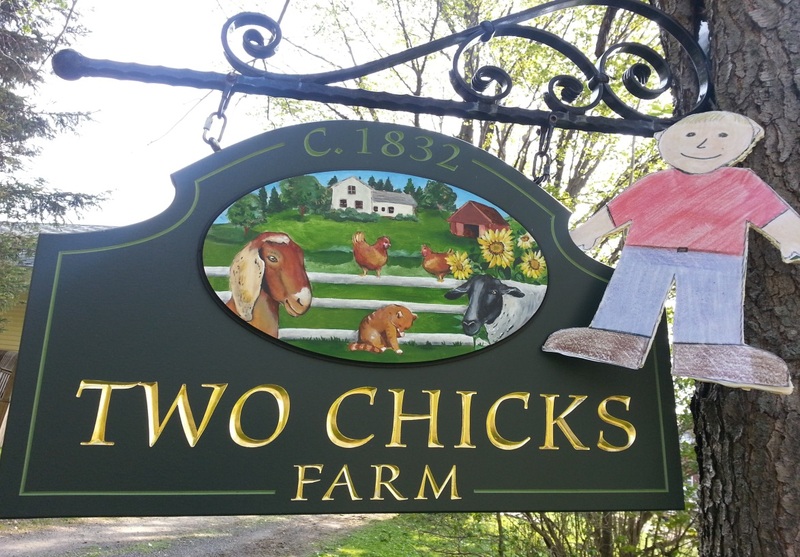 Our farm is located in northern New York State, about 60 miles north of Syracuse and 30 minutes south of the 1000 Islands Bridge and St. Lawrence River. We live on the edge of the Tug Hill Plateau, which means we get a lot of lake effect snow (from Lake Ontario) in the winter. One day in January we got 4 ½ feet of snow! 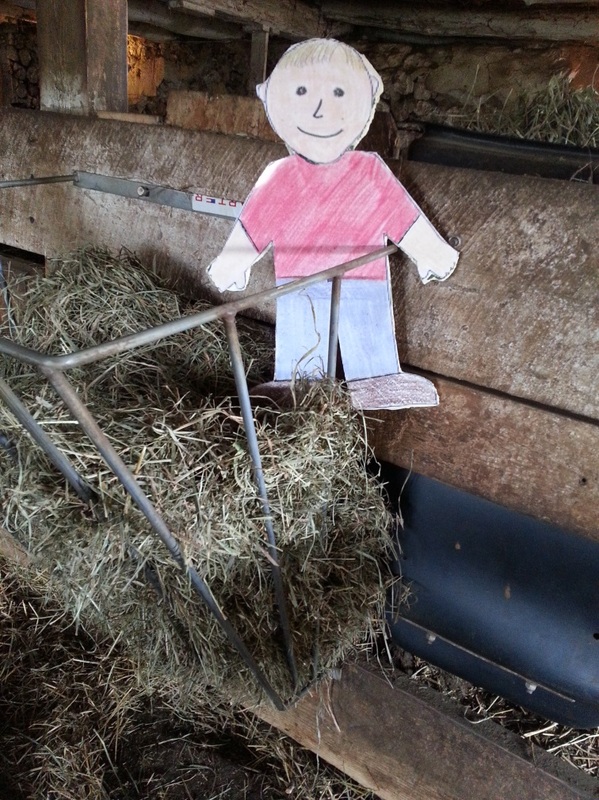 It was very hard to do the farm chores that day. Figure 1. Aggie with our farm sign. There are many farms here in Jefferson County. Most of them have cows, but there are some farms that raise sheep, goats or alpacas. We also have a few vineyards – farms where grapes are grown and used to make wine. Alpacas are related to camels and llamas, but they are much smaller and friendlier. Their fleece is much softer and finer than camels and llamas so it is suitable for making soft, warm clothing. They are natives of the Andes Mountains in South America, primarily Peru and Chile. They don’t mind the cold winters of northern New York because their ancestors come from a cold climate. The original herd of alpacas in the United States was imported from Peru and Chile. In 1998 importation in the United States was banned. Today our alpacas are part of a national registered herd. Each alpaca is registered and numbered. Figure 2. Aggie having a cuddle with Magic. Figure 3. 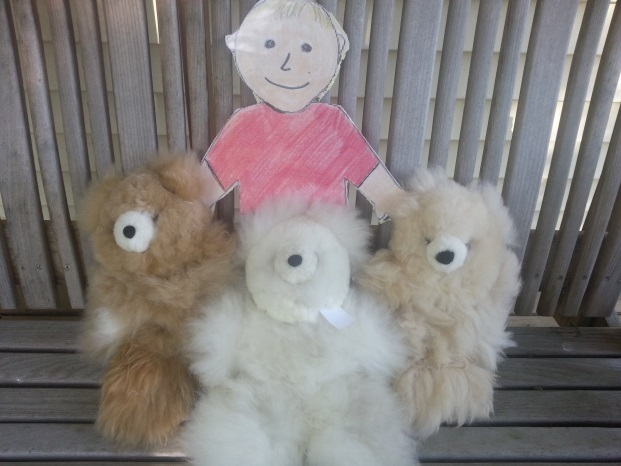 Aggie with teddy bears made from alpaca fiber. The fleece of alpacas is spun into yarn, which is then used to make socks, mittens, gloves, hats, scarves, and sweaters. The fleece is also used to make teddy bears and other stuffed animals. They are super soft! Alpacas are not too hard to care for. There are 23 alpacas here on our farm. Every morning, we give each animal one cup of alpaca chow. This chow is a mix of grain pellets that we buy at the feed store. We also make sure they always have fresh water to drink. Once a month they are weighed. We trim their nails and give them a shot of medicine to prevent any parasites from making them ill. We call this herd health day. Figure 4. Aggie standing in a hay feeder. Figure 5. 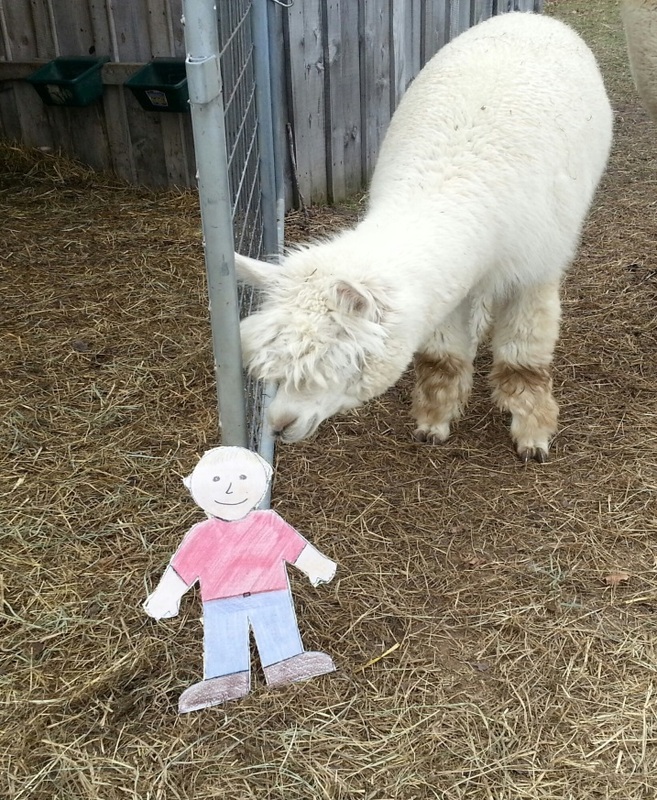 Aggie with the alpaca chow. During the summer, the alpacas eat the grass in our pastures. The rest of the year they eat hay. 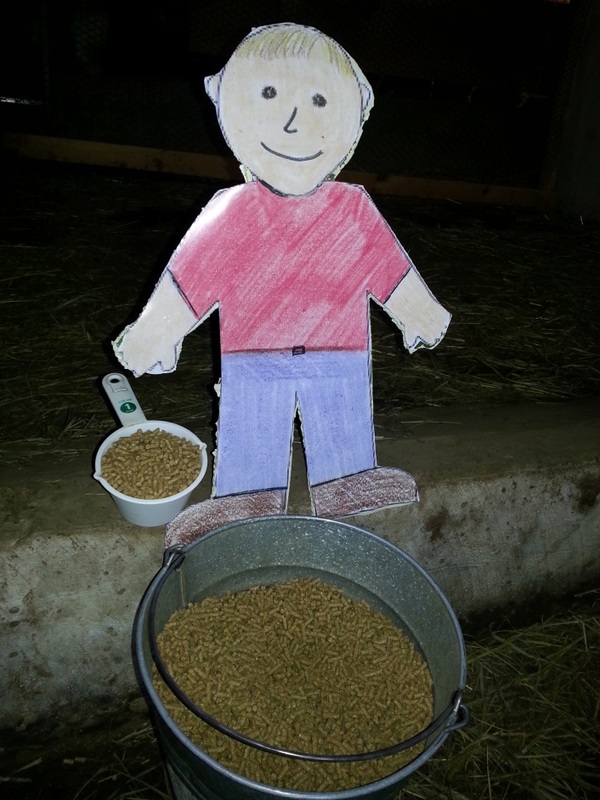 We take some hay every day and put it in their feeders for them to eat. Alpacas are very curious and nosy. They like to investigate any new thing they find or see. They like to sniff you to say hello. We say they are giving kisses when they do this. Figure 6. Lexington and Remington are checking Aggie out. Figure 7. Benjamin says hello to Aggie. 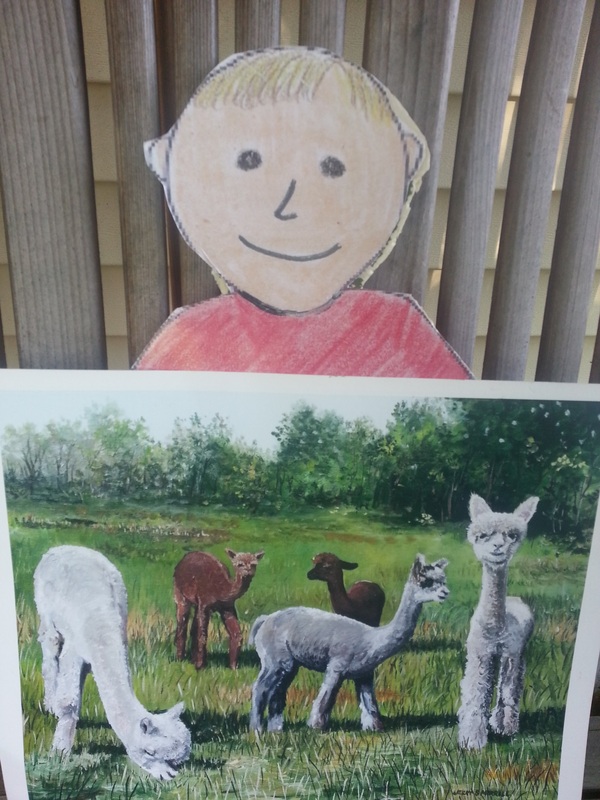 We take our alpacas to many festivals and craft fairs. 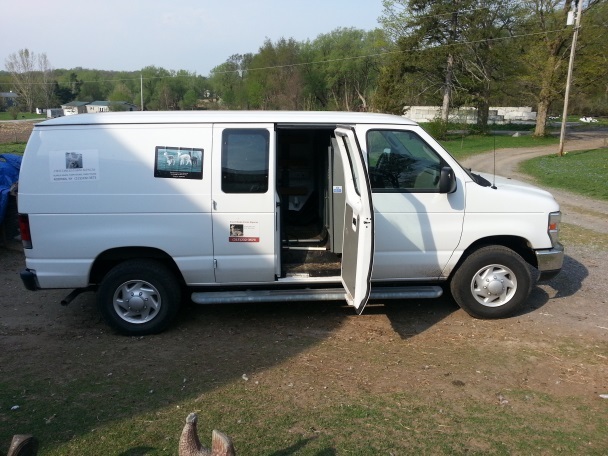 They ride in the back of our van. We have a special sign on the back of the van, so people aren’t surprised when they see fluffy faces looking out the windows! Figure 8. The alpacas jump right through these side doors. Figure 9. 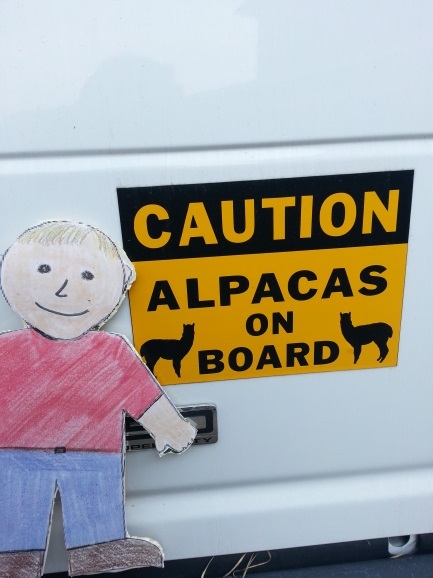 Aggie next to the sign on the van. In the springtime, the shearing team visits our farm. These men shear our alpacas. This means they use hair clippers to cut the fleece off. 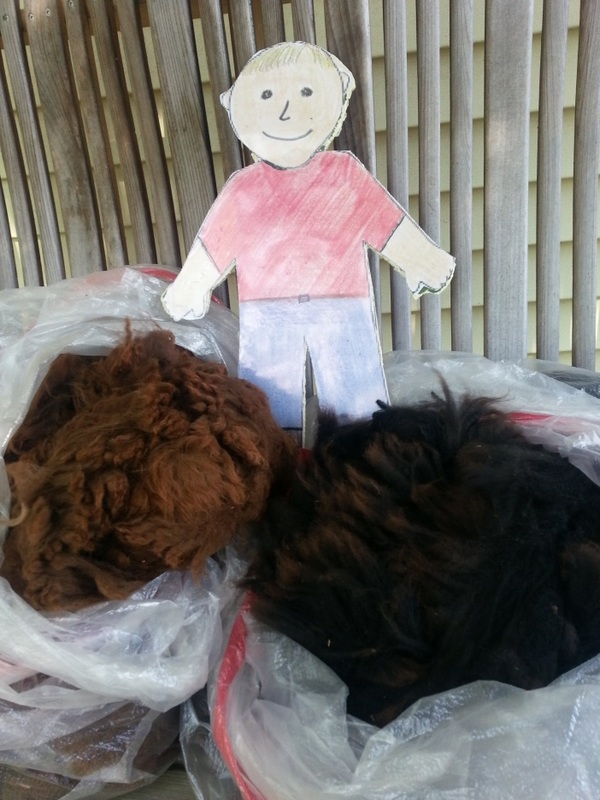 We usually get between 5-10 pounds of fleece from each alpaca. This is about 2 big garbage bags full of fur. The alpacas feel much cooler after the fleece is taken off. It’s like when a person takes off his sweater when he is too hot. We put the fleece in bags and send it away to two factories. One makes yarn out of the fleece; the other makes socks, gloves, mittens, hats, and scarves. These clothes are very soft and warm. Figure 10. This fleece is from Lexington and Remington. Figure 12. 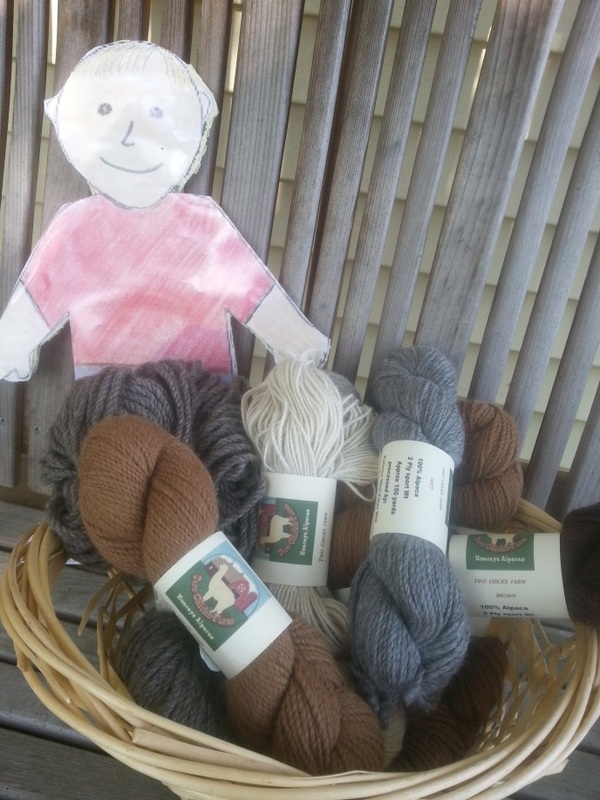 This yarn was made from our alpacas. Figure 13. 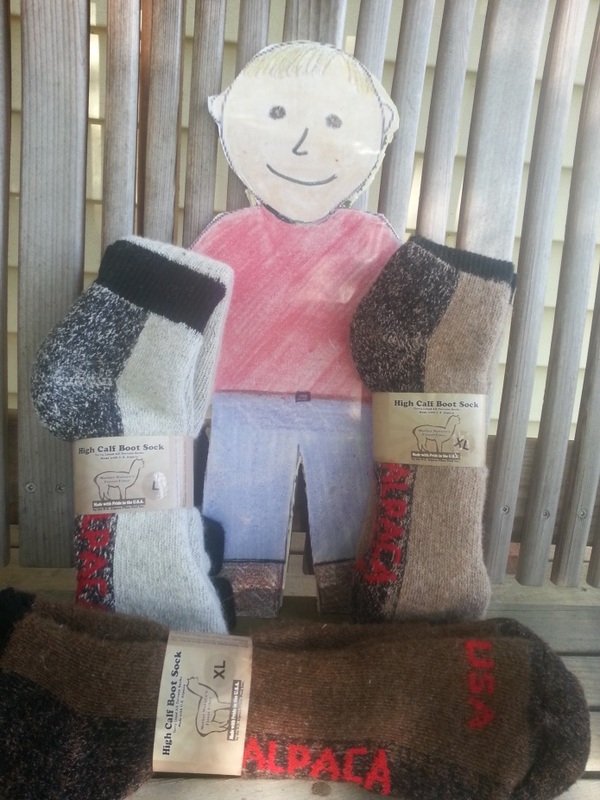 These warm socks are made from alpaca fleece. Alpacas are very gentle animals. They don’t bite, and we have never had an alpaca spit at any of our visitors. Some of them like to cuddle and are happy to have you sit next to them when they are resting in the barn. Figure 14. Aggie is sharing some quiet time with Zoey. 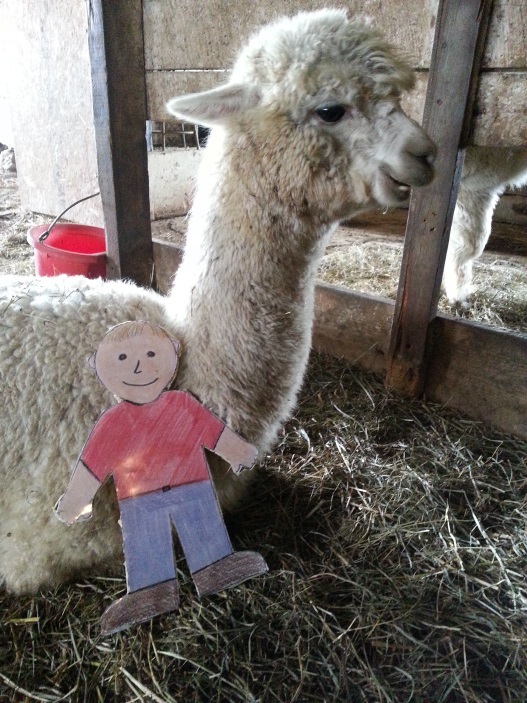 We have a very good time with our alpacas here at Two Chicks Farm. We are so glad that you and Aggie could visit us and see what we do. Please come back soon! Figure 15. Aggie is holding a painting of our alpaca boys. 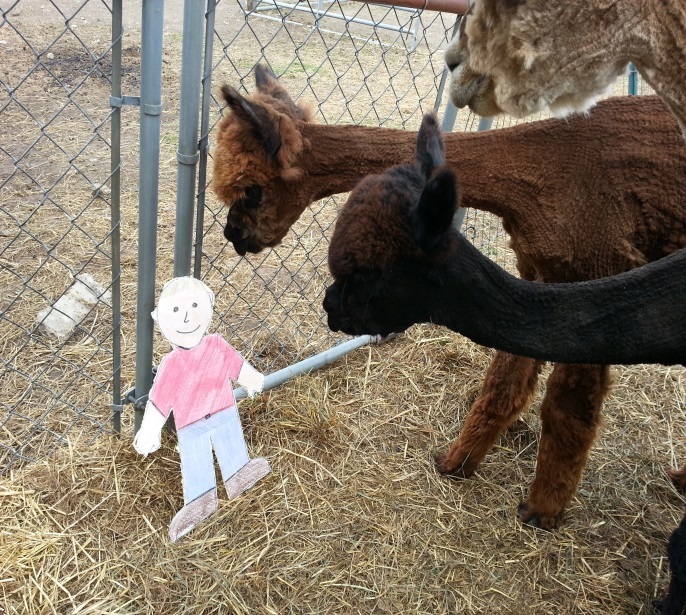 This entry was posted in Ag in the Classroom and tagged Ag in the Classroom, alpacas, Flat Aggie. Bookmark the permalink.